Studying data at the level of the parliamentary constituency, rather than the district, will help India improve healthcare, according to a study published in the Economic and Political Weekly. Parliamentarians who represent these constituencies in Lok Sabha each get up to Rs 5 crore every year to spend on development pojects in these areas. The Union government, in fact, has disbursed Rs 31,833.35 crore under the Members of Parliament Local Area Development Scheme (MPLADS) until now. “The 543 parliamentary constituencies (PCs) and 641 districts in India do not share the same geographic boundaries. With our goal of analysing district level health data by PC, a ‘crosswalk’ between these two geographic areas needed to be built to allow for translating the district level health measures properly into PCs,” said SV Subramanian, Professor of Population Health and Geography at Harvard University, USA, who led the study published on January 12, 2019. 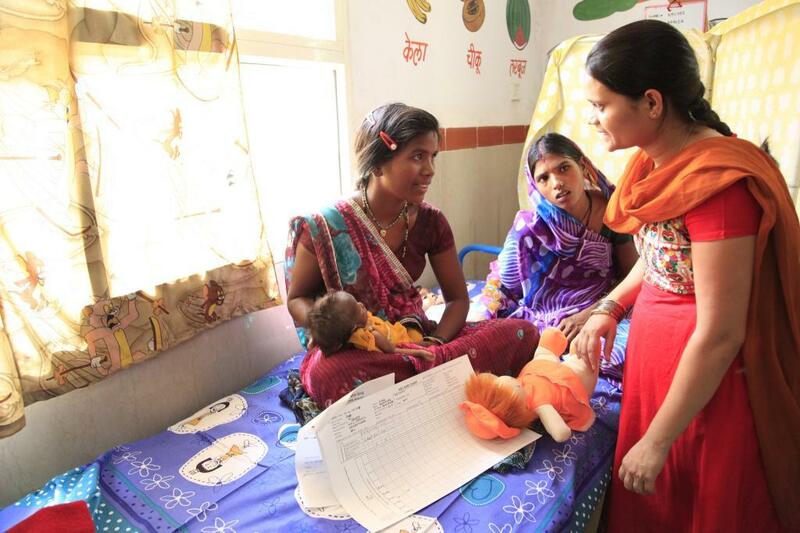 The team, comprising statisticians, geographers and economists from India and the United States used National Family Health Survey data for child malnutrition parameters such as stunting, underweight, wasting, and anaemia. They then employed Geographical Information System-based software to map layers of PC and district boundaries. Overlaying the layers produced a new map with information regarding which PC each district falls into. For districts that are split by PCs, both, the proportion of geographic area and proportion of population are calculated for that PC. The result allows district-level data to be summarised by parliamentary constituencies, Subramanian said. The team found moderate-to-high correlations between malnutrition indicators at the PC level, indicating that several PCs experience a multiple burden of child malnutrition that must be addressed concurrently. The team identified that the highest-priority PCs in the country are Gulbarga, Raichur, Bidar, Koppal and Bellary in Karnataka; Morena and Bhind in Madhya Pradesh; Jalore and Banswara in Rajasthan and Rajmahal, Singhbhum, Khunti and Godda in Jharkhand. The team also identified positive-deviant PCs that have a low prevalence of malnutrition within a state that has a high prevalence of malnutrition. These can be viewed as role-model PCs and analysed for best practices. The researchers say that focus on PCs can bring a greater degree of accountability to policy vision and implementation since the MPs are directly responsible for the well-being of their constituents. As the level of malnutrition is high across the country, are minor differences across the PCs relevant? We found that while malnutrition is high on an average across India, it varies substantially both, across states and across PCs. For example, several states in southern and eastern India show low levels of malnutrition. Further, some states showed substantial and consistent variance in malnutrition. For example, northern Karnataka has a notably higher prevalence of malnutrition than the southern part of the state. These differences across PCs are highly pertinent when considering resource allocation and target populations for large scale interventions. What new understanding has the PC-level data provided which we weren’t able to get from district data? PC-level data provides an opportunity to analyse the relationship between governance and population outcomes. While this was beyond the scope of our paper, future studies can use data on MPs and analyse the relationship between population indicators and MP party, MP voting behavior, MP approval ratings, duration of MP tenure, political dynasties, and other indicators of MP performance. What could be the reason for inter-state variation in indicators of malnutrition? A variety of factors could explain inter-state variation in malnutrition, including wealth, infrastructure, dietary practices, access to healthcare, and other potential risk factors that vary greatly across India. Does the methodology have other applications? Yes. For any district level statistics that is available, we present a methodology that can be used to estimate statistics at the PC level using our techniques. Indeed, should we additionally have sub-district information (for example village level statistics), we can “directly” aggregate them to the PC level since we also now have linked villages in India to PCs.